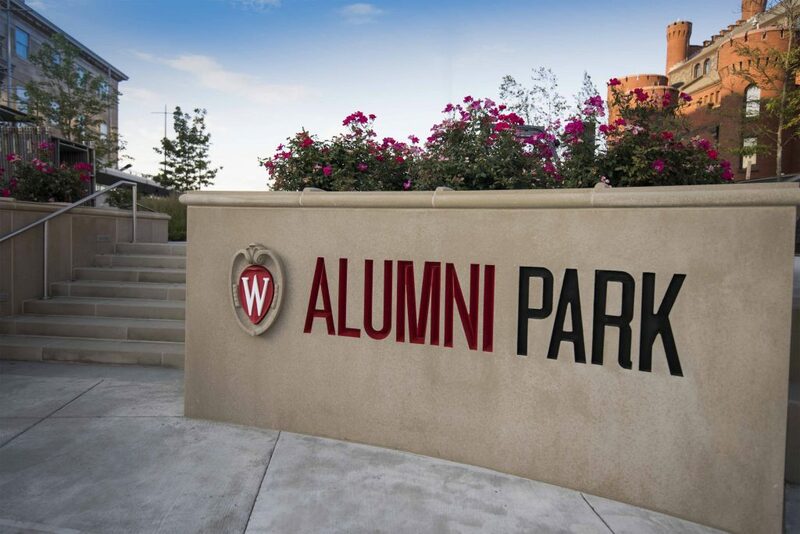 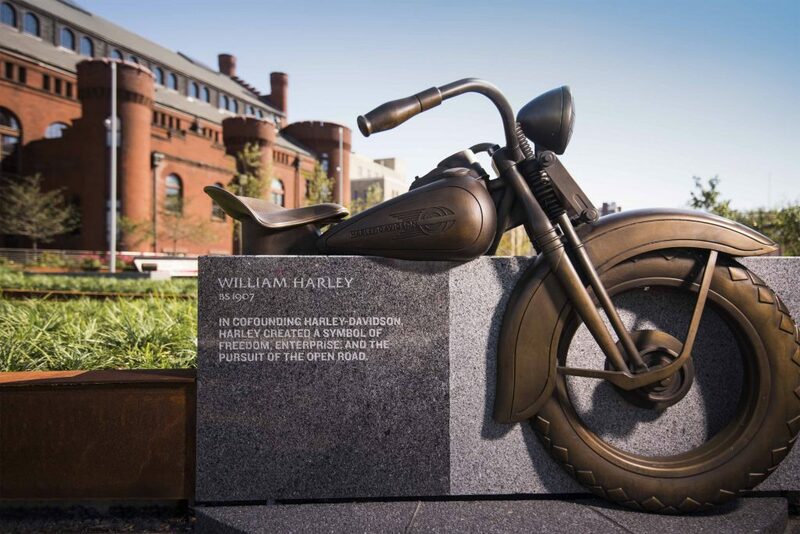 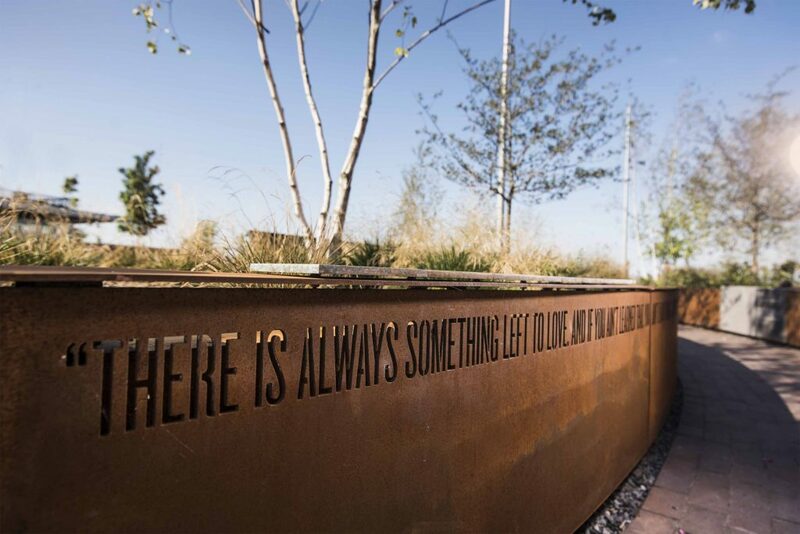 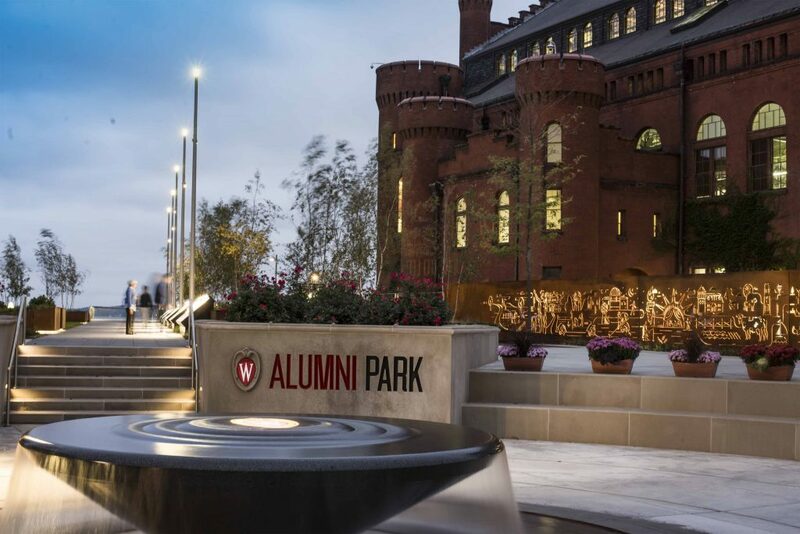 A celebration of the University of Wisconsin-Madison and its graduates, Alumni Park blends nature and sculptural storytelling to communicate the University’s rich history and tradition. 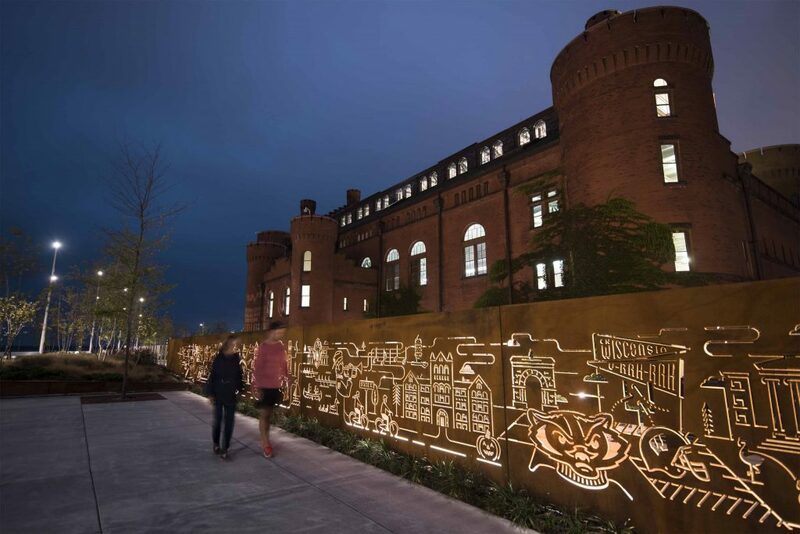 Cinnabar aided in the fabrication of many of the park’s sculptural and architectural elements, including the Lantern, a stunning sculpture that is illuminated from within. 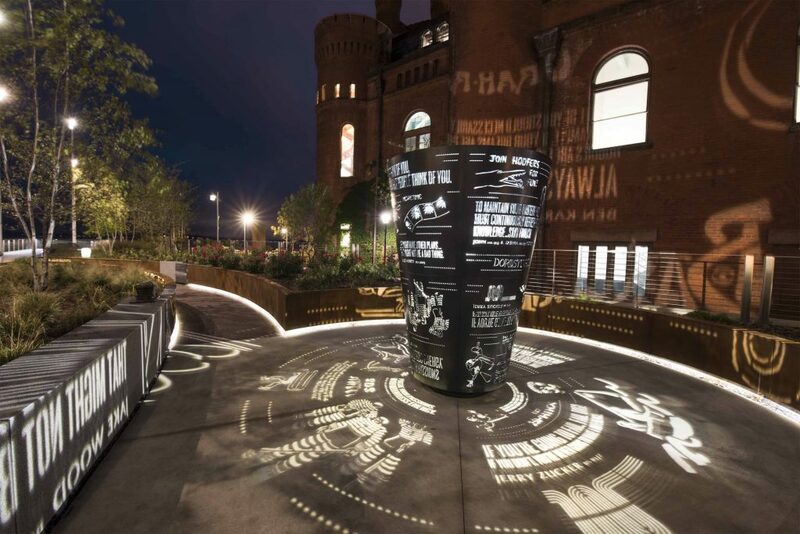 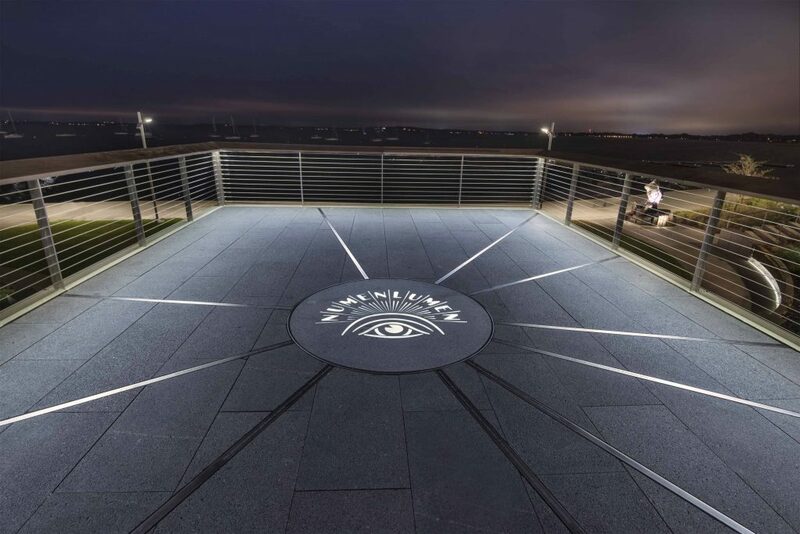 The 7-ft tall steel cone is laser cut with imagery and quotes from alumni and speakers, paying tribute to the rich history and legacy of Madison. 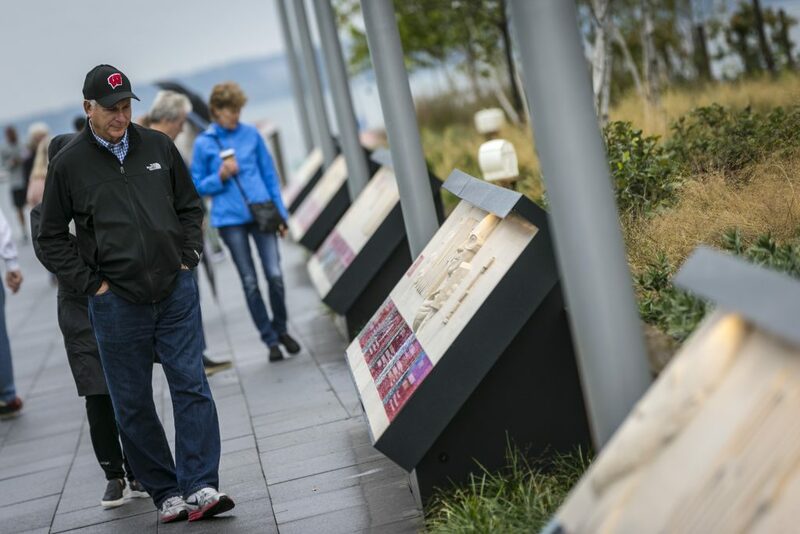 Other exhibits include individualized sculptures that signify each of UW’s 10 areas of distinction and an informational Alumni Way.